If you love being around children and want to work in the education sector, becoming a primary school teacher could be right up your street. Seeing little ones totter into your classroom, book bags in tow, can be extremely rewarding, but here are five essential things you need to know while considering this career path. In order to land the job of your dreams, you must be fully qualified and this can involve a lot of hard work and study. Unless your first degree is a Bachelor of Education (BEd) or a BA/BSc with Qualified Teacher Status (QTS), you must gain QTS (or in Scotland a general teaching qualification QT), in order to teach in mainstream, local authority schools. Thankfully, there are many ways to gain QTS/TQ. You could, for instance, apply to a university to do a Postgraduate Certificate in Education (PGCE) – or in Scotland a Professional Graduate Diploma in Education (PGDE). If you’re looking for a more hands-on approach, School Direct courses are available, which will help you train as a teacher on the job. Up for a challenge? Then perhaps a Teach First route into the profession could be something to consider. 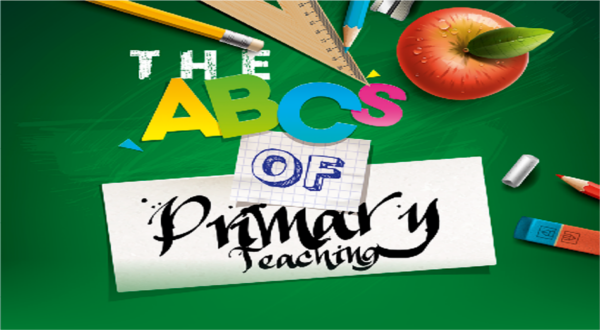 Essentially, this is a two-year programme including a PGCE where top candidates are placed in challenging schools. When you finish your studies, you’re not obliged to stay at the school and can either look for a job elsewhere or change careers completely. While there’s a long-standing joke amongst other professions that teachers work part-time and have long holidays, the reality is very different. Sure, the children might only be at school from 9am-3.30pm in most cases, but planning, classroom preparation, parent’s evenings, marking and other duties mean teachers very rarely get to rest. Hours can be long, so before you dedicate your life to education, make sure you’re prepared to give it your all. These days, teachers are expected to do far more than just teach. In fact, while children are in their care, they must monitor the behaviour, attitude and progress of every pupil, liaising with educational psychologists and social workers if necessary. Teachers also need to be able to deal with students from different social and economic backgrounds and handle family issues and parental concerns in a professional manner. Becoming a teacher can be extremely rewarding, but it’s important to know what you’re getting into. Margaret Buj is an Interview Coach and Head of Recruitment at Yieldify as well as a qualified Personal Performance & Corporate and Executive Coach. Margaret Buj is an Interview Coach and Head of Recruitment at Yieldify who teaches professionals how to get hired, promoted and paid more. She has 11 years of international experience interviewing professionals at all levels, from students to senior executives across a number of industries, both in the private and public sector. She is also a qualified Personal Performance & Corporate and Executive Coach and can help you with developing confidence and the attitude that will make it easier for you to get any job you want. Margaret has been featured in Cosmopolitan magazine, interviewed for The Financial Times and Management Today and is a writer for CareerAttraction.com. She has spoken at many career events and has written 2 e-books related to job search and successful interviewing.